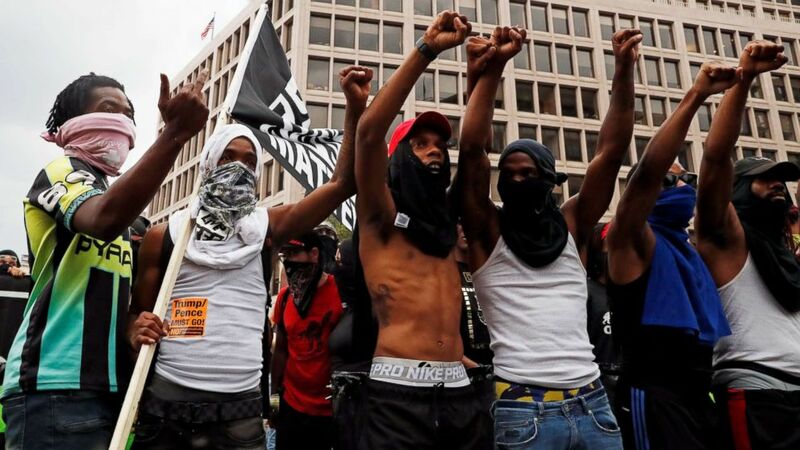 Protests began in Washington, D.C., with a heavy police presence. (Leah Millis/Reuters) Counter-protesters of the "Unite the Right" rally, shout slogans in downtown Washington, D.C., Aug. 12, 2018. 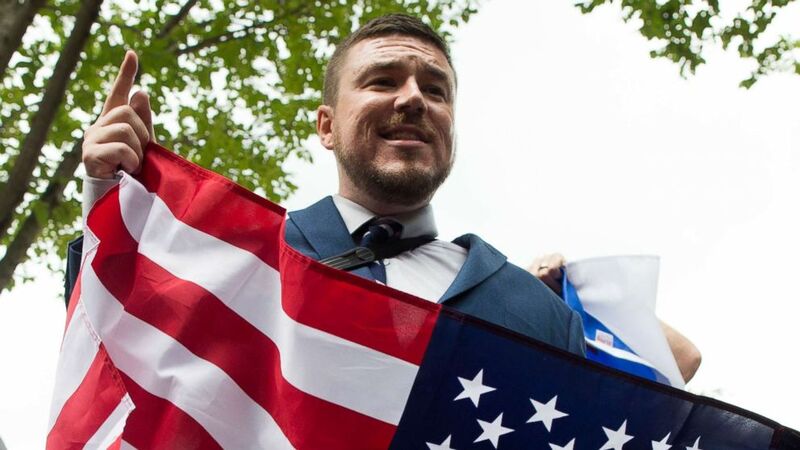 (Michael Reynolds/EPA-EFE via REX/Shutterstock) Jason Kessler speaks to members of the news media while holding a U.S. national flag in Lafayette Park across the street from the White House, during the "Unite the Right" rally, Aug. 12, 2018. 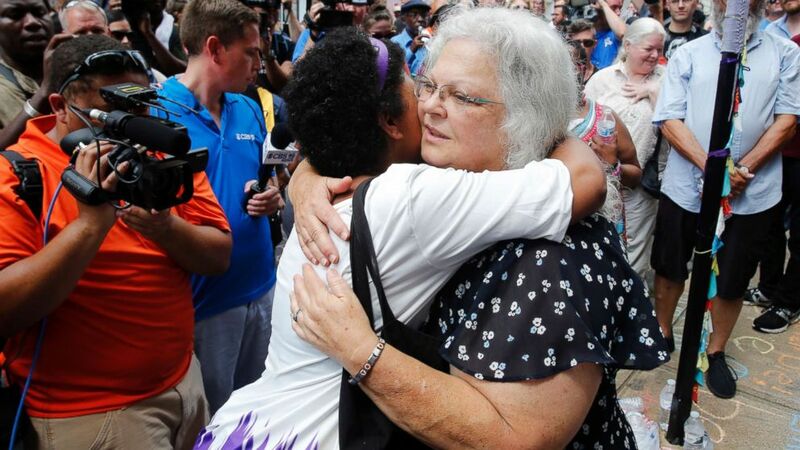 (Steve Helber/AP) Susan Bro, the mother of Heather Heyer who was killed during last year's "Unite the Right" rally, embraces supporters after laying flowers at the spot her daughter was killed in Charlottesville, Va., Aug. 12, 2018. Bro said there's still "so much healing to do." She said the city and the country have a "huge racial problem" and that if it's not fixed, "we'll be right back here in no time." 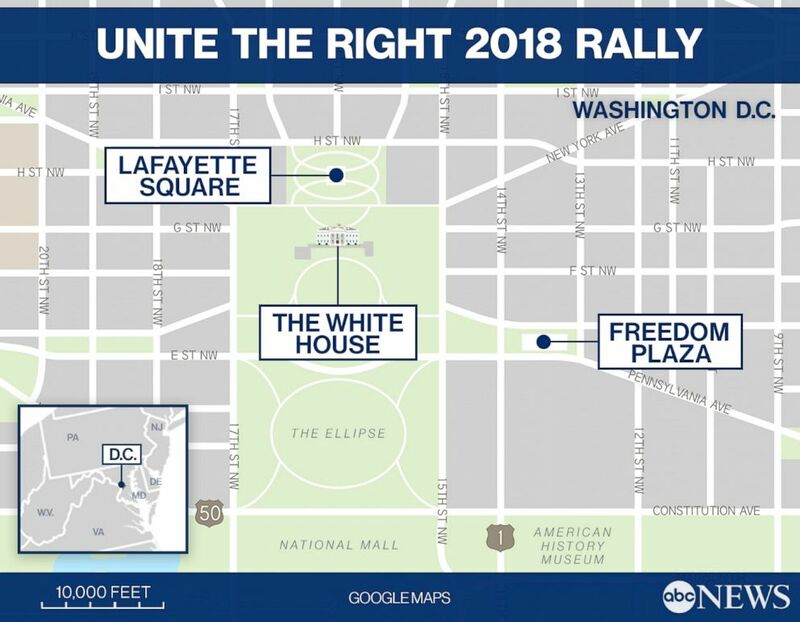 Despite a heavy police presence in D.C., there was only one arrest this evening when a man from Pennsylvania was taken into custody for allegedly assaulting another man with pepper spray, the mayor's office said in a news release. There have been five arrests in Charlottesville, however, varying in charges from obstruction of free passage to assaulting a police officer, police press releases stated.